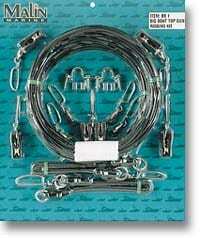 This kit is designed to double rig a single outrigger up to 45 feet in length and includes J-Mar halyard locking pulleys. Contents: 200 feet of 300 lb. 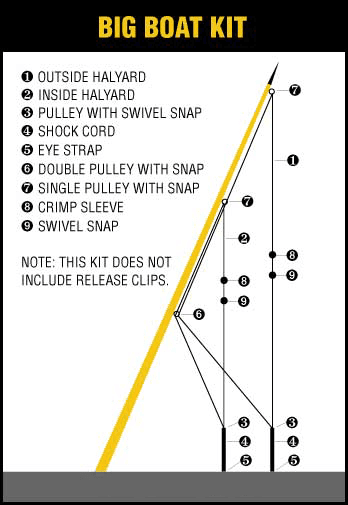 black mono, single pulleys (2 each), halyard locking pulleys (2 each), double pulley (1 each), 12” x 3/8” black shock cords (2 each), stainless steel eye straps (2 each), crimp sleeves (4 each), ball bearing snap swivels (4 each), and detailed rigging instructions. Release clips not included.